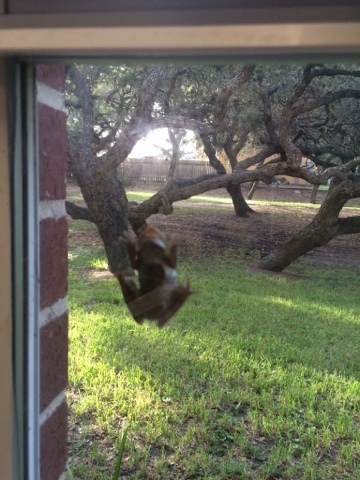 With all the rains in South Texas, the frogs are everywhere! This one is peering into our facility. Remember that toads are on the rise too and the ingestion of a toad by your dog can be lethal!!! Please seek immediate medical aid even if the toad is not ingested but is allowed to discharge poison in your dogs mouth. Also, snakes are on the rise too and they are deadly to dogs and cats! We have anti-venom on hand to treat when available!